ST. AUGUSTINE, Fla. -- Archaeologists in St. Augustine say they've discovered human bones under a street that could be more than 400 years old. The bones were discovered before street revitalization begins in the city's historic downtown. MILAN (AP) - A Senegalese immigrant was detained Wednesday in the strangulation death of a 35-year-old American woman, just hours after crime scene investigators returned to her Florence apartment to search for clues identifying her killer. Italian authorities are close to identifying the man they believe is responsible for killing Ashley Olsen, the 35-year-old U.S. expatriate found dead in her Florence apartment over the weekend, according to Italian news reports. After analyzing hundreds of hours of surveillance video from cameras, including one on Olsen's street, authorities have turned their focus on a man, possibly a drug dealer, who was spotted on video walking Olsen home and then going inside her apartment building with her, according to media reports. ST. AUGUSTINE, Fla. -- The St. Augustine Lighthouse will be back in order Friday night following repairs to an internal motor. It went dark Thursday night after the motor that turns the historic, Fresnel lens, stopped working, according to executive director Kathy Fleming. Museum staff made repairs to the motor and it was expected to start shining again Friday. ST. AUGUSTINE, Fla. — A scary moment for a husband and wife on the water this morning when the force of the wind and waves severed the line where they moored in St. Augustine. Carl McHenry and his wife, who were visiting from Philadelphia, were on the boat but were not injured, according to the St. Augustine Police Department. 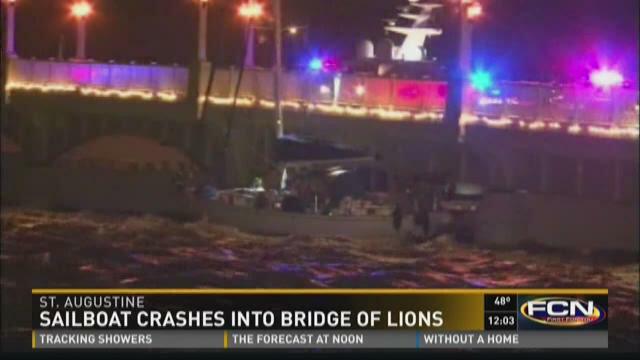 About 4:15 a.m. the sailboat broke loose from its mooring and proceeded to get stuck underneath the north side of the bridge, police said. The bridge was closed down to road and water traffic just before 5:30 a.m., but reopened less than 30 minutes later. ST. AUGUSTINE BEACH, Fla. — The next beach re-nourishment project at St. Augustine Beach may come sooner than scheduled, according to the St. Johns County government offices and the Army Corps of Engineers. 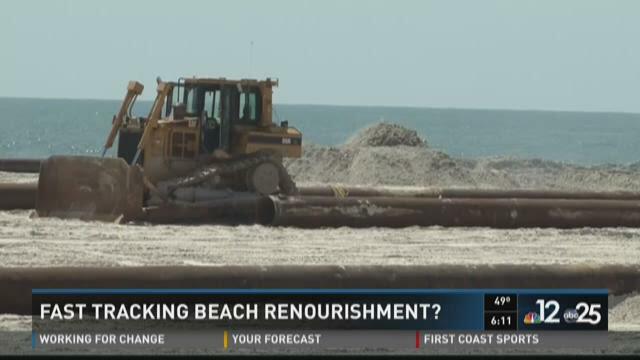 The next St. Augustine Beach re-nourishment project is scheduled for 2017. That could be bumped up to 2016. Jon Waltz just moved to the area last year. Tuesday he looked out over St. Augustine Beach on a blustery day. 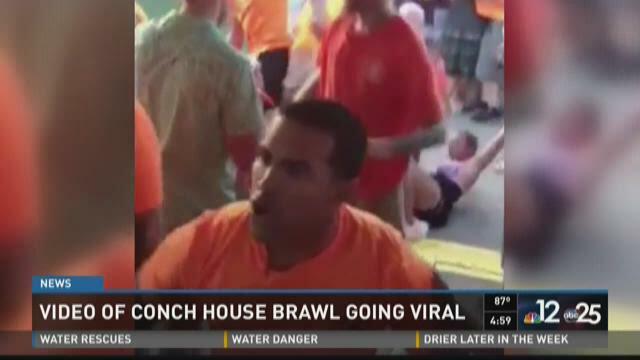 He believes a big beautiful beach is necessary for the local economy. "I think so," Waltz said. "It's attracted us and we tell our friends and family about it and utilize is and enjoy its beauty."